Please join us at the November Houston Harvard Alumni Book Club on Sunday, November 11th at 2 PM at the Mariner's Harbour area home of Laura Davis (HLS '86)! The club is open to all alumni and their guests and there is no cost to attend! Our goal is to meet once a month and we would love to see you! 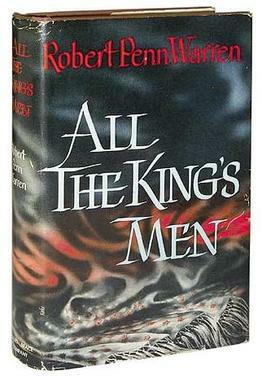 The book for November is the novel "All The King's Men" by Robert APenn Warren. Please RSVP your attendance at the link below no later than Saturday, November 10th. Book Club registrants will be sent the address in a separate email. Laura Davis will provide refreshments and she'll have questions prepared for discussion and simple critique of the book. If you are inspired to bring your favorite snack, dip or dessert to share, please do so (but no obligation at all). Just come and enjoy a discussion with others who enjoy books and literature! You will be in the right place! For questions, feel free to contact Laura at laurahdavis@comcast.net or 832-467-1880. Our goal is to pick more books and meet once a month for a fun and informative get together. Make this new Harvard Book Club distincly yours - click BOOK CLUB to RSVP today and we will see you in November!